The flexible nature of Cloud Computing means that it can be used, and in the majority of cases is used, in a hybrid core infrastructure. 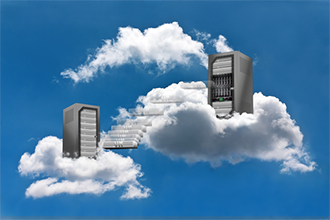 Most organisations like to retain full control of their primary systems with a standard on-site server solution but are open to placing certain applications within a cloud environment. Hosting a server or application in the cloud has the benefits of fast deployment, attractive monthly payment model, and fast, secure access from any location in the world. We are seeing clients place email, CRM, disaster recovery, and Sharepoint applications in the cloud. TSS has rackspace and servers located at one the best datacentres in the South East providing an infrastructure for our clients applications and servers. Whether you want to host your own servers and applications within our rackspace with TSS managing and supporting the set-up or whether you want TSS to design and deploy a hosted solution on our servers then we can help.